A great accessory to help take your Holiday display to a whole new level! 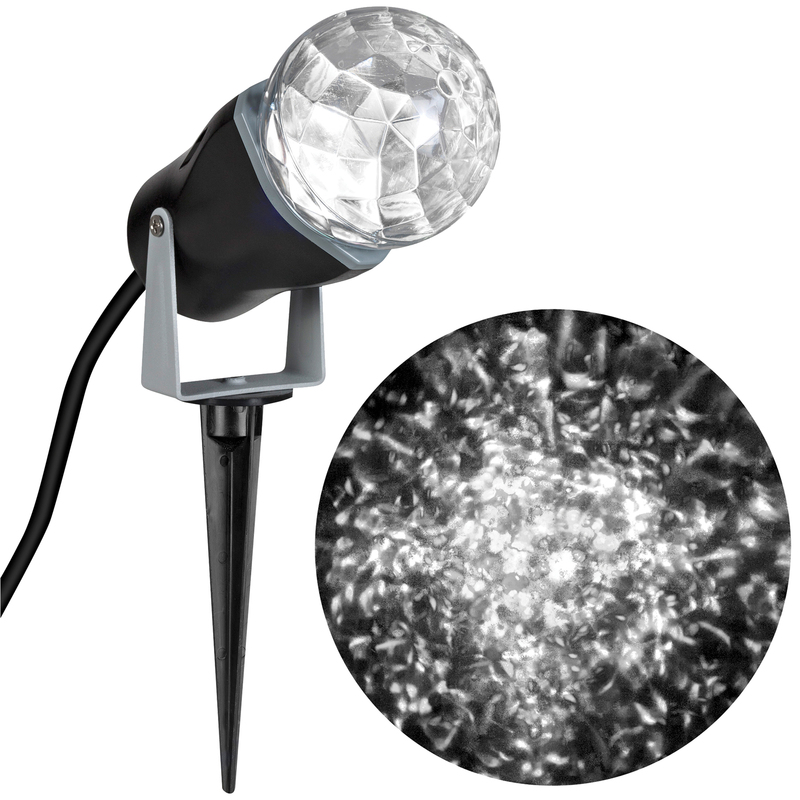 This outdoor Christmas decoration projects a swirling kaleidoscope of white lights onto any surface. Easily turn your home into a beautiful winter wonderland. The Christmas light projector features energy-efficient, long-lasting LEDs and uses SMT (Surface Mount Technology) which makes a brighter, more stable light than normal LEDs. Size of item is 12 tall inches by 5 inches wide and uses an AC Plug.